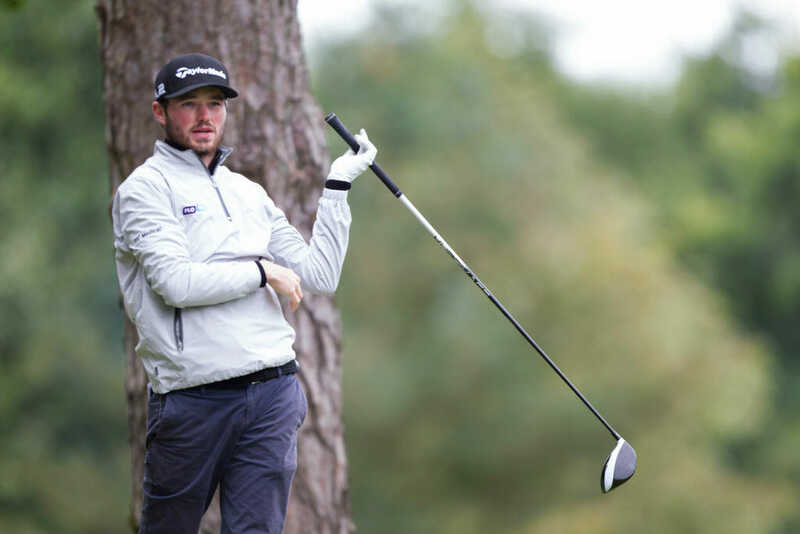 After missing out on a full European Tour card for 2019 by a single stroke, the cruel set of circumstances have emerged today that cost Cormac Sharvin his 2019 European Tour card. In yesterdays sixth and final round Sharvin was playing nicely and sitting on 15 under par for the tournament after six holes, two under for the day and on course to push on and claim a full card. It has emerged today however that Sharvin incorrectly teed-up his tee shot on the Par 3 seventh and was not fully behind one of the tee markers at the Lumine course at Tarragona in Spain and it wasn’t until he was completing his swing when German playing partner, Alexander Knappe noticed the Ardglass man was marginally in front of the tee-markers and but his warning shouts came too late. Under the Rules of Golf, Sharvin’s first shot did not count and, after calling a two-stroke penalty on himself, he teed-off properly and bravely sent his third shot to just five-feet of the flag before holing out for a bogey ‘4’ in an eventual round of 69. The round left him one shot adrift of the magic number and he didn’t join Mt. Juliet’s Gavin Moynihan in securing one of the 27 full European Tour cards awarded. “I teed off a couple of inches ahead of the tee markers causing a two-shot penalty and then I had to retake the shot and got it up and down for four,” Sharvin revealed. While sympathetic for Sharvin, McIlroy was delighted for Moynihan, who despite two bogeys over his closing four holes, held on to earn full membership. “Gavin had been showing plenty of good signs throughout the year, so it’s great he’s been rewarded with his Tour card,” said McIlroy. “The more Irish on the Tour, the merrier”. And Moynihan’s close friend and Golf Sixes winning team-mate, Paul Dunne was equally pleased. “Gavin was a serial winner as an amateur but everyone takes to it at different stages and professional golf is a lot different,” said Dunne. The good thing with Moynihan now in the main Tour ranks is that it may take some of the pressure off Dunne who has been losing-out in ‘Credit Card Roulette’. “Hopefully, it will be Gavin who starts losing,” said Dunne smiling.